Using lasers to augment reality with digital whimsy! 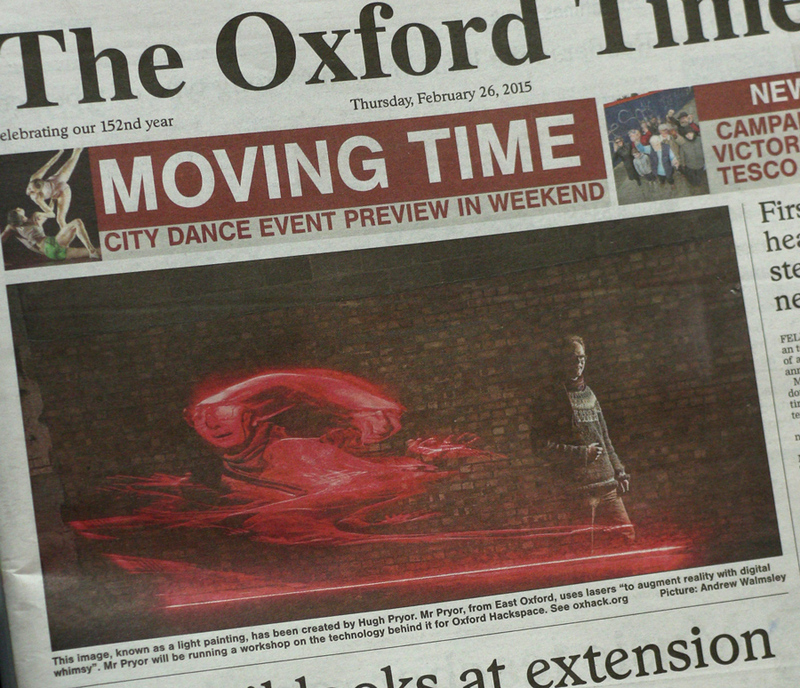 Light painting workshop on the Oxford Times front page by Andrew Walmsley. I like the title “Moving Time” which pretty much sums up what the work is about. More in previous post here.